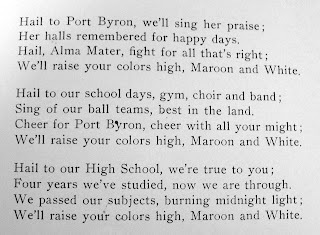 The Port Byron High School was dedicated on Tuesday, January 16, 1900. 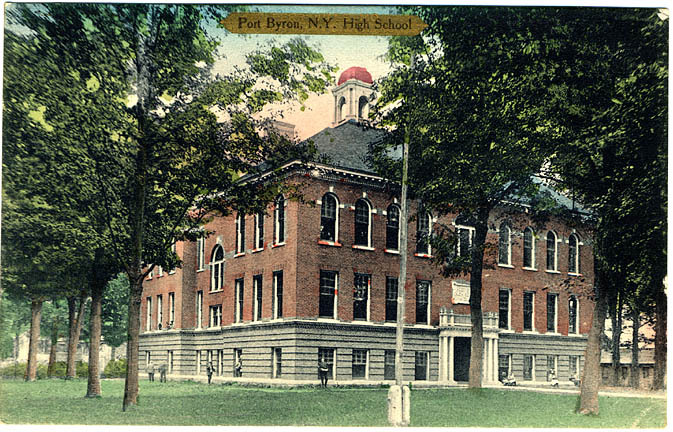 It replaced the Port Byron Free Academy that was lost to fire in November 1898 at this same location. The architect was C. E. Crandall of Rochester, NY. The building was heated and ventilated with a Smeed-Norcot heating system and had running water on both floors. The Smeed Heating System was widely used in schools and other public buildings, its furnace generated heat by heating air. The building cost "nearly $16,500.00" (equivalent to "nearly" $440,000.00 based on 2009 CPI). The structure was described as housing 450 pupils, consisting of two floors with basement, six large study rooms, a laboratory, library and multiple recitation rooms. Many will be surprised to learn that some pupils from Brutus attended our school here. In our early history, we were a progressive place. Woman started to serve on our Board of Education in the year 1890, before woman even had the right to vote. Helen Hadger Root was a teacher and among the first woman to serve on the school board. Her husband William H. Root a past Board of Education Member was present when both the Free Academy as well as the High School was dedicated. At the time of the dedication, Rasselas R Stillwell, a civil war veteran who served from the State of Wisconsin was the current President of the Board of Education. Prayer was given by Rev. C. H. Beebe, Pastor of the Presbyterian Church. School commissioner Mr. Morrison and Principal Phelps also spoke. In addition, Professor A. W. Morehouse, who served for many years as Principle of the school was also in attendance. The address of the day was given by Hon. A. M. Wright of Albany, as a representative of the Department of Public Instruction. Many changes would be seen in our education programs while this school was in use. 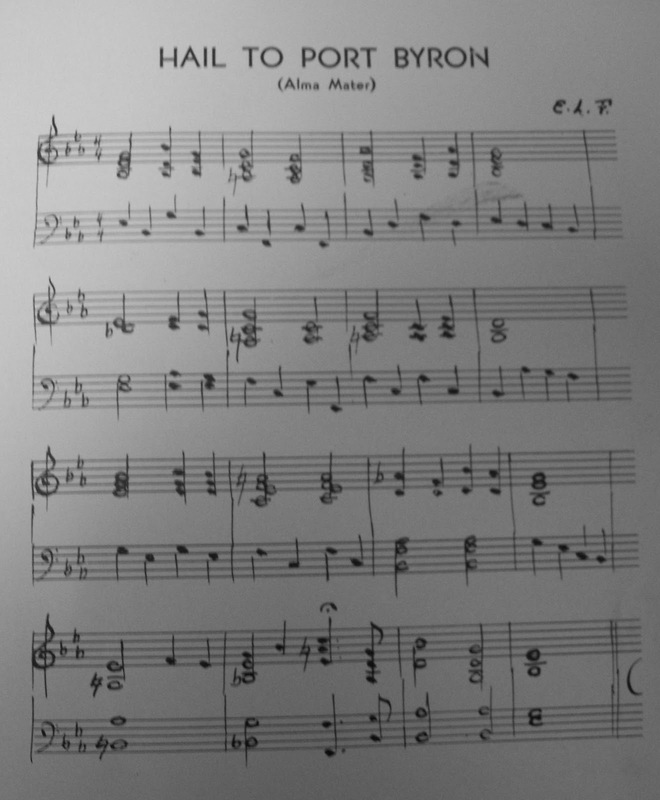 The music program would be introduced in the year 1931 with Elvin "Jake" Freeman as our first band director. He truly was the real life "traveling music man". He pitched the idea that if he could teach students for a twelve week program, the students would be proficient enough to hold a concert. Freeman offered this to several schools in the area and traveled between schools, never owning a vehicle. He traveled to the various schools by train and trolley. 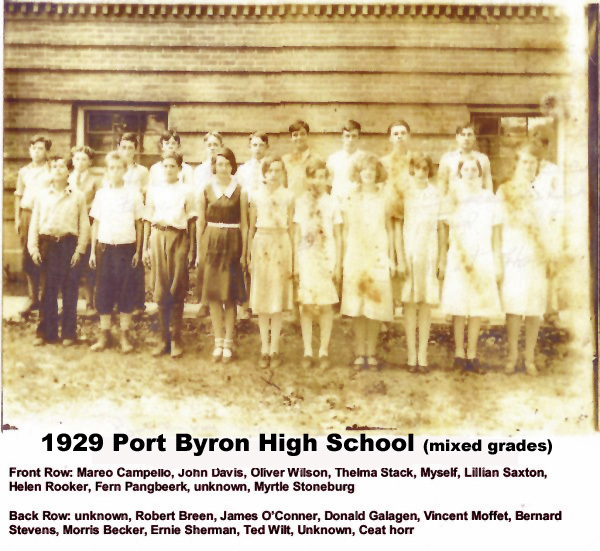 Out of the schools that engaged him for music instruction, Port Byron was his most successful district. Principal Arthur A Gates was a strong supporter of the arts. This is not surprising because his wife Regina Martin Gates was an accomplished musician and art instructor at our school. She often performed with our school band in concerts. 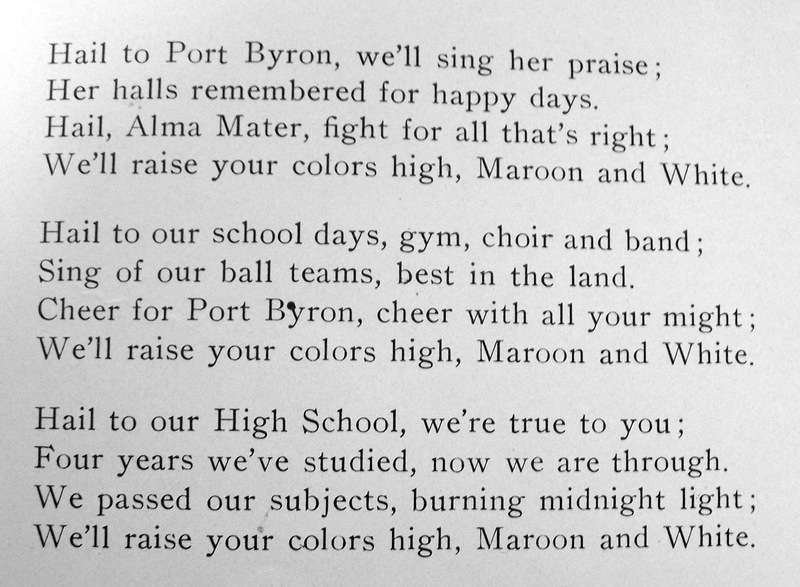 Elvin Freeman composed our Alma Mater Hail To Port Byron which remains in use today. 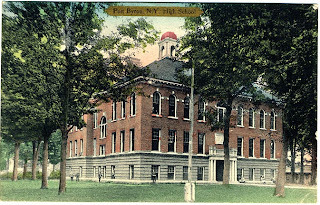 The regents classes of 1912 included exams in elementary algebra, civics, English for teachers, psychology, school management, elementary English, physics, elementary U.S. History, nature study, agriculture, spelling, physiology and hygiene, biology, elementary botany, elementary zoology, reading methods, methods of teaching, arithmetic, American history, geography, history of Great Britain and Ireland, ancient history, elementary representation, history of education and school law. This picture taken in 1929 represents mixed grades. Ted Wilt graduated with the Class of 1935 and Thelma Slack graduated with the Class of 1933. In earlier years, students were separated by gender and this photo shows them standing united. Fate would throw another blow on Christmas Eve day in 1935, when our school once again went up in flames. Inez Shotz who lived on Rochester Street saw smoke pouring from the front of the building at 10:54 o'clock. She telephoned in the fire alarm to the fire department. Chief Walter Ware of the Port Byron Fire Department sent calls for help to Weedsport and Auburn. Pumpers drew water from the Owasco Outlet but could not save the structure. They believe the fire was ignited by the furnace and quickly spread due to the high volume of wood used in the interior design of the building. It was reduced to ruins within an hour after the alarm was called. Firefighters who attempted to enter the burning structure were turned back by the intense heat and smoke. Grades 7-12 at Dr. Stewart's home on the corners of Main & Pine Streets. Grades 4-6 were held at the second floor of the Lowe Building on Utica St., which is today the autoparts store. Grades K-3 were held at the First Baptist Church on Church Street. 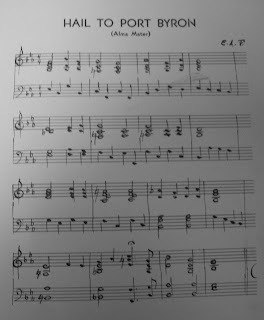 Music classes were allowed at the second floor of the fire house, which was then on Main Street across from Pine Street. Homemaking and Industrial Arts were held at a private residence. The community pulled together a second time to ensure education continued for our students. 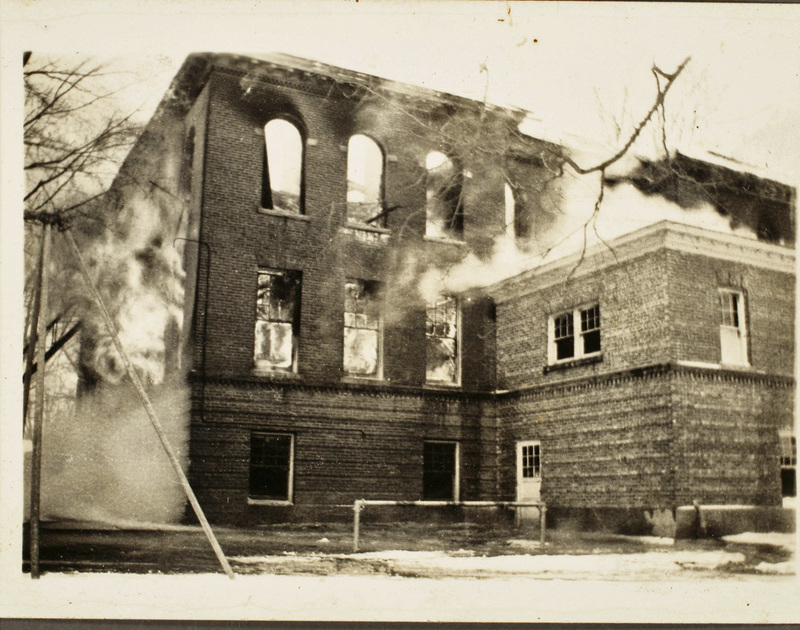 I. R. Warren served as president of our Board of Education at the time of the fire. The next school would remain on Church Street and would be the beginning of centralization, completely eliminating the need for the one room school houses. 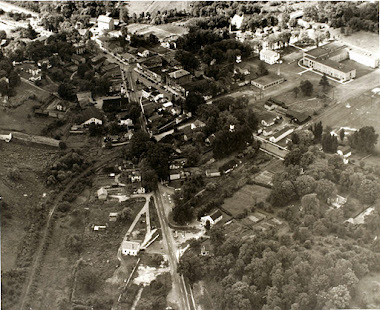 Photos of the school were digitized by William Hecht on Rootsweb. The Class of 1929 photo is courtesy of Roy Wilson and the Alma Mater photos came from year books and digitized by Dawn Roe.